Courtroom humour; by the bar is an integral part of the art of advocacy, especially when the bench is tired of long arguments or is not inclined to grant a favourable order. Sometimes, it flows naturally from either sides and is always taken in a lighter vein and is appreciated as the bond between the bar and the bench achieves strength from such moments. It is, however, rare that humour and wit flows from an order passed by the bench. In one such gorgeously written order, Justice Gautam Patel of the Bombay High Court not only traced his concern of two corporate litigants abusing the process of law but also taught them a tight lesson as to how malpractices of dilatory tactics prevail at the bar. Pertinently Justice Patel before accepting elevation was an avid columnist and a renowned member of the same bar. The matter concerned a dispute in nature of IP corporate rivalry between GO Holdings Pvt. Ltd and Indigo airlines. The contention of GO Holdings (as Patel J wrote – declaring a litigation war) was that Indigo should not use the domain name GoIndigo.in as it could not have used the prefix “Go”. (as Patel J quoted – Intellectual Property Issues). Justice Patel noted that the issue was only with the prefix and not with the same suffix. While Going further, Justice Patel at his epic best, taught a tight lesson to the claimant, firstly for adding Google as a party (and wrote that without a Go, Google will forced to ogle the web) and then secondly to both the parties for requesting sur rejoinder by one, sur-sur rejoinder by the other and then sur-sur-sur rejoinder (quoting him to be counsel’s immediate Goal) again by the earlier one. 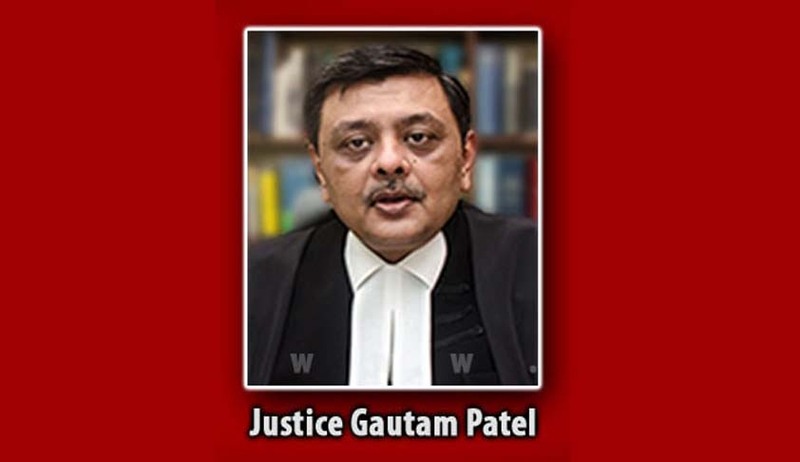 While departing with the order and posting it for 19.10.2016, Justice Patel wrote that he will frame the issues.The order is not only a masterpiece as to how feelings of discontent can be shown in a lighter way by the bench but works as a mirror for litigating lawyers of how the bench notes avoidance tactics prevalent at the bar. Nevertheless, the 2 page order remains a must read!